All top 8 seeds advanced today at the Shanghai Masters as many continue their quest for to qualify for the prestigious Barclays ATP World Tour Finals commencing Monday 4th November. Defending champion Novak Djokovic began in imperious form, clearly full of confidence after defeating Rafael Nadal in the Beijing final, he eased past Marcel Granollers 6-2, 6-0. Hitting 26 winners past the Spaniard, he comfortably upheld his unbeaten record against him. Rafael Nadal also took to the court for the first time since 2011 as the ATP World No.1. He certainly delivered against Alexandr Dolgopolov, winning 6-3, 6-2, producing 9 aces with a 83% of 1st serves (winning an impressive 82% of those points). Roger Federer made a welcome return to singles action this week and came through what was deemed to be a potentially tricky match. The Swiss fell down a break, but recovered to win 6-4, 6-3, improving the head 2 head record against the Italian Andreas Seppi to 10-0. David Ferrer, who qualified for the World Tour Finals for a fourth successive year this week, beat Lukas Rosol 6-3, 6-4 in what was their first meeting, while 4th seed Tomas Berdych returned after his China Open semi-final retirement to overcome the challenge from Feliciano Lopez 7-6, 6-2, he is next in line to qualify, but needs a strong run here to secure his place. 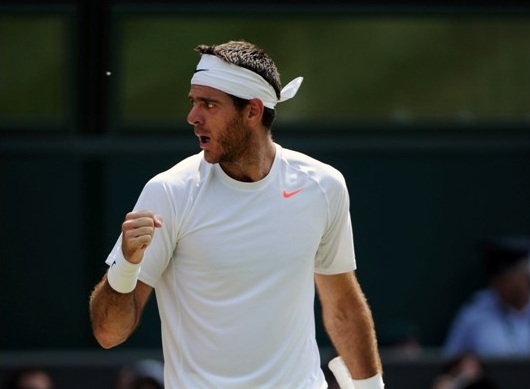 Last week’s champion in Tokyo Juan Martin Del Potro came through an epic tussle against Philipp Kolschreiber 3-6, 6-3, 7-6. The German had a more solid start and took the opening set, pushing Del Potro all the way while hitting 22 aces, outclassing the Argentine’s total count, but the 6th seed won 81% of the points when his first serve went in, while Kohlschreiber only took 2 out of his 8 break point chances, eventually proving costly. Other London contenders also won, Jo-Wilfried Tsonga beat Andujar 6-3, 6-2, while Wawrinka had a tougher match against big serving Kevin Anderson, winning 8-6 in a final set tie-break. Milos Raonic kept up his good form with a 7-6, 3-6, 6-3 win over his former top 10 opponent Fernando Verdasco. 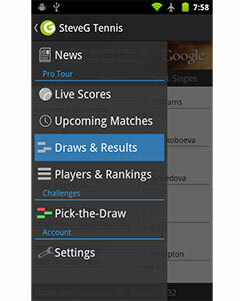 With plenty to play for in Shanghai this week, expect plenty of exciting and top matches and top 10 players success here in this Masters 1000 Series event!